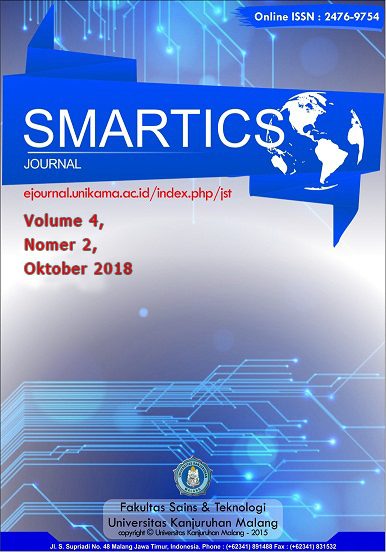 Smartics Journal is a peer-review journal that aims to disseminate researchers in electronic, informatics, intelligence systems and applied technology. This journal published two times a year (April and October) by Faculty of Science and Technology, Universitas Kanjuruhan Malang. We accept submission from any author. All submitted articles shall be unpublished elsewhere, original and not under consideration for other publications.